We have a good selection of fertilizers that are field tested. Some are standard choices of landscape professionals. Scroll down to the bottom of this page for more information on fertilizers. 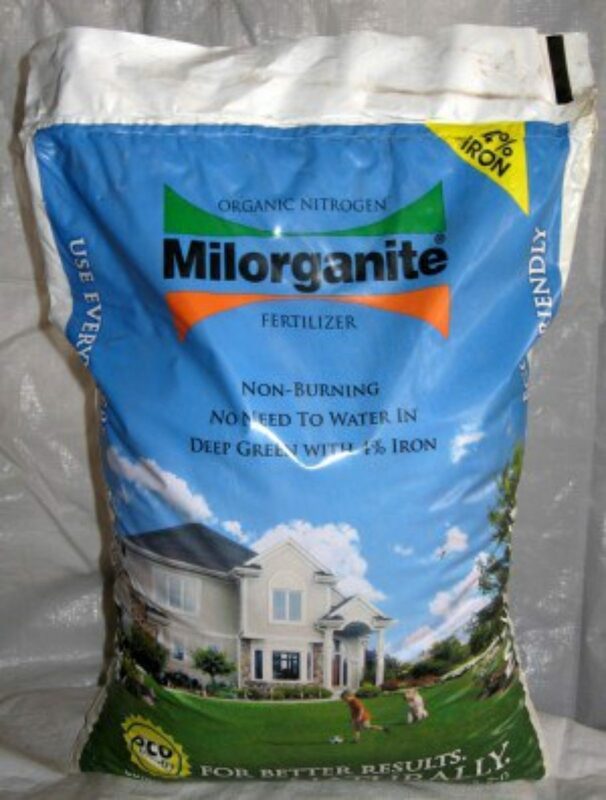 Milorganite Professional with 4% iron. Non-burning organic fertilizer, rich in water insoluble nitrogen. The naturally slow releasing Nitrogen and added complex Iron result in a lawn with the color you desire without excessive growth (or mowing!). Ideal for trees, shrubs and ornamentals too. Use April through October. 36 lb bag covers 2,500 sq.ft. Contains 50% SCU slow release Nitrogen for a long lasting dark green lawn. 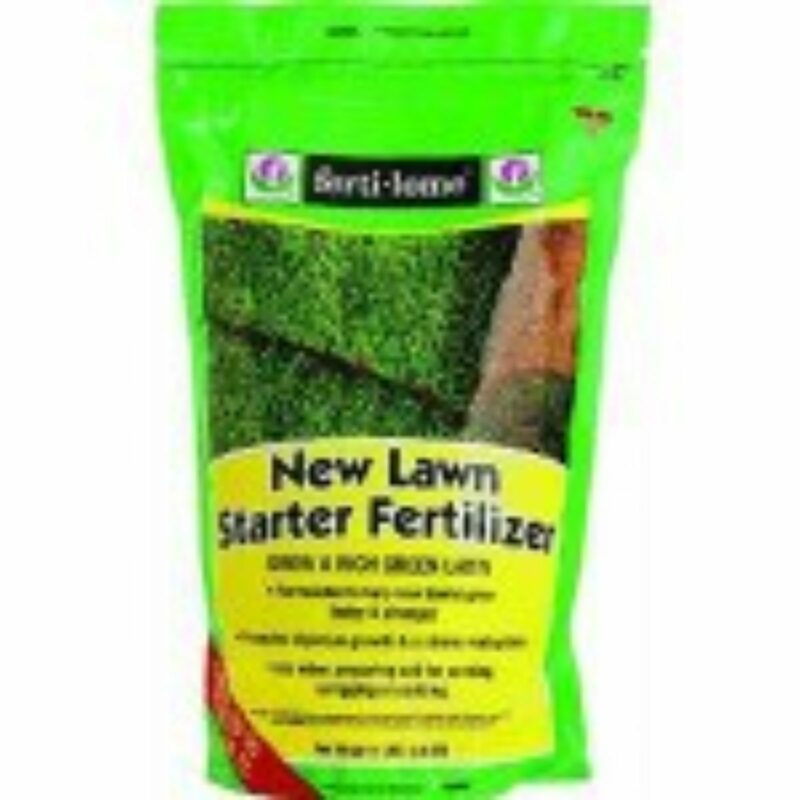 This same fertilizer is used by many lawncare professionals. Use April through October. 50 lb bag covers 12,500 sq.ft. Established lawn fertilizer and broadleaf weed killer with 25% SCU slow release Nitrogen. Contains a very fast acting weed control. 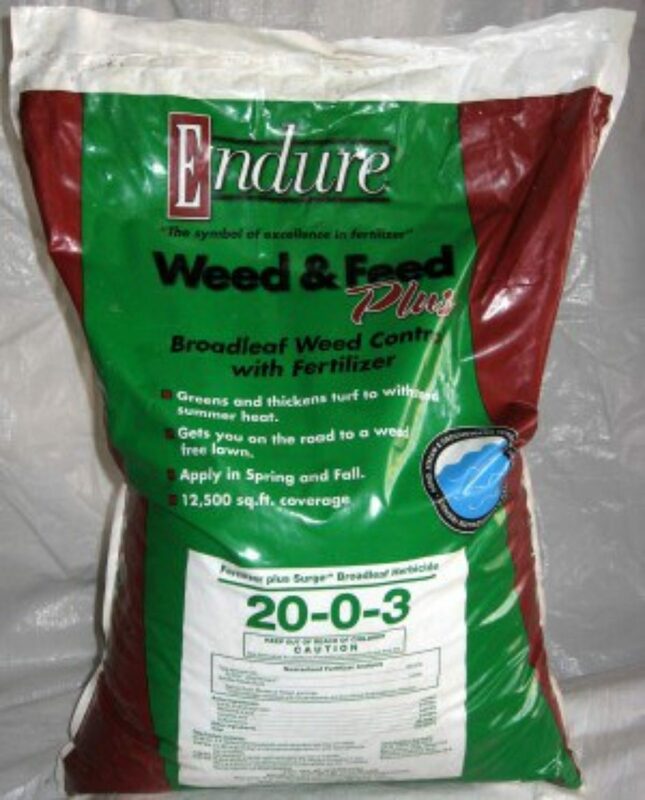 Excellent overall formula, bonds to leaf in 6 hours can reseed in 3 weeks. Use May through September. 50 lb bag covers 12,500 sq.ft. Includes 30% UMAXX sourced slow release Nitrogen. 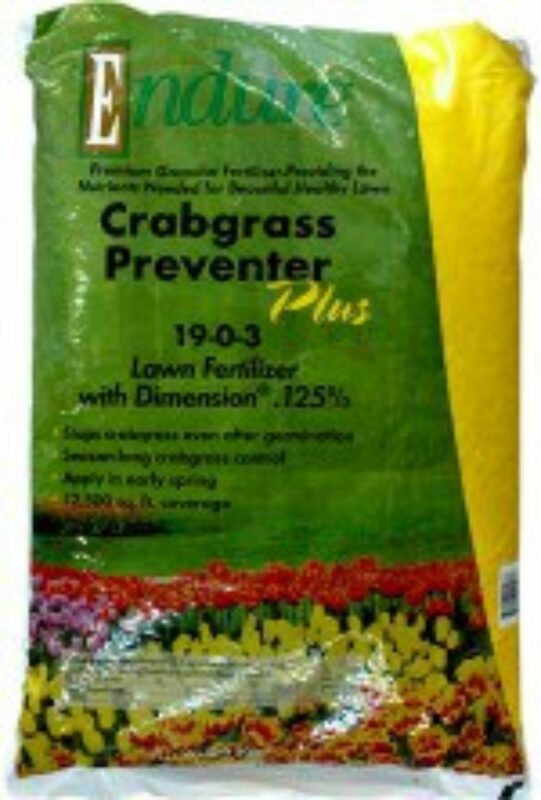 Established lawn fertilizer and pre-emergent crabgrass control. The same crabgrass preventative used in many professional programs. The best bang for your buck pre-emergence herbicide on the market. Use late April through early May. 50 lb bag covers 12,500 sq.ft. 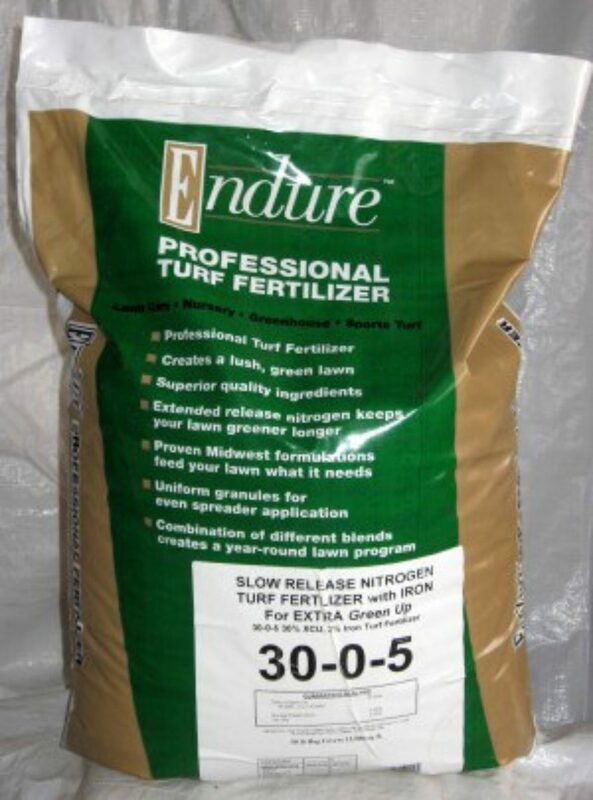 A starter fertilizer which offers a balanced delivery of Nitrogen, Phosphorus, and potash. It has a relatively low percentage of Phosphorus compared to most starters to ease the negative environmental effects. Use just before seeding & 4-5 weeks later. 50 lb bag covers 10,000 sq.ft. 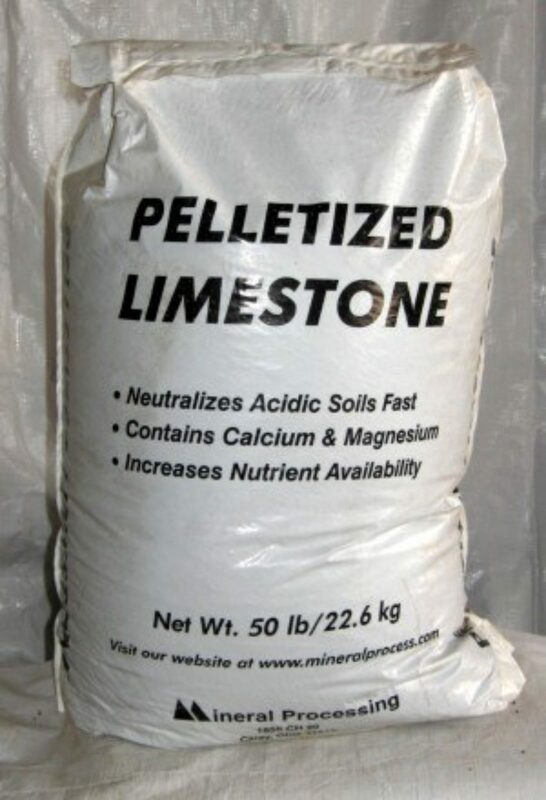 Pelletized lime sweetens sour soil. Oak trees and moss may mean lime is needed. This doesn't kill moss - just makes it easier for your grass to grow. Use March through October. 50 lb bag. Use 11 lbs per 1000 sq.ft. to raise pH 1 point. Designed to help grass seed and sod develop roots and mature stems before rapid growth begins. Helps sod to establish. Available in 4 and 10 lb bags. • Can be applied with grass seed or immediately after seed is sown. • A must for new lawns. 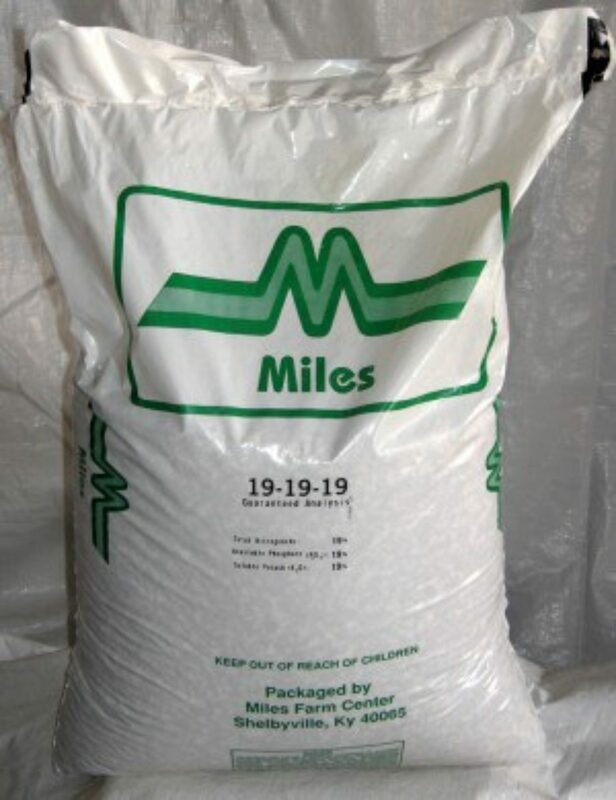 Fertilizer is packaged and sold with three macro nutrients: Nitrogen, Phosphorus and Potassium. A typical formula for a fertilizer might be 24-4-12 where the 24 represents Nitrogen, the 4 represents Phosphorus, and the 12 represents Potassium (Potash). The numbers stand for the percentage of active ingredient in each pound of the fertilizer. In the above example, 24 percent of each pound of fertilizer is Nitrogen, 4 percent of each pound is Phosphorus, 12 percent of each pound is Potassium, and the rest is usually lime filler. So, a 50 lb. bag of 24-4-12 will have 12 pounds of Nitrogen in it since 24 x 50(lbs.) = 12. The Phosphorus and Potassium are important but often times are present in sufficient amounts in existing topsoil. The standard source for Nitrogen in fertilizer comes from urea; some comes from poly sulfur coated urea (PSCU), also IBDU, and UFLEXX. These different types of Nitrogen release into the soil at different rates. Generally, the slower and more consistent a Nitrogen form releases, the better it is and the more value it has. There can be other factors involved with Nitrogen release such as temperature, water, etc. It should also be noted that many better fertilizers might also have a micronutrient package or iron added. This can add to the cost, but the biggest factor in cost is typically the Nitrogen source. Organic based fertilizers can be very beneficial. 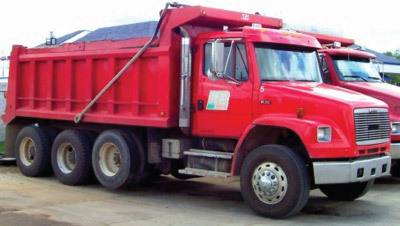 They use composted biosolids or chicken manure or some other type of organic source for nutrients. The benefits of using organic based fertilizers are numerous. Risking a possible oversimplification - the microorganisms and forms of nutrients which organic based fertilizers provide your lawn simply can't be economically reproduced by synthetic type, chemical-based fertilizers. Basically, the results obtained by using organic fertilizers are fantastic, and many of the reasons are not fully understood. When purchasing fertilizer you can compare prices by looking closely at the label. Many fertilizer brands are expensive because of successful marketing. In reality the same product can be purchased at a much cheaper price through a little label investigation and comparison. Most commonly packaged fertilizers have urea-sourced nitrogen and a 25 - 40 percent poly sulfur coated urea (PSCU) as the other source of nitrogen. The more PSCU, the more it will cost. If it has a micro nutrient package in addition to a decent amount of PSCU, it will be as good no matter what the name on the bag says. As stated above, organic based fertilizers are generally a little more expensive but are very effective. Nitrogen is necessary in large amounts because it is absorbed by plants or leaches further into the soil more quickly. A quick release fertilizer (urea-based Nitrogen) is typically only available to the plants for 6 weeks. Nitrogen stimulates early starts, vigorous growth, and a deep green healthy color. Phosphorus stimulates early root formation and growths, thereby giving turf a rapid, vigorous spring start. Phosphorus also promotes disease resistance and builds tolerance to winter kill. However, it does promote weed growth in lakes, and contaminates the ground water. In general, Phosphorus is not very environmentally friendly. With that in mind the middle number in the analysis should be low, at least in Southwest Michigan where most often phosphorus in plentiful enough in our soil already. Potassium (Potash) increases vigor, raises disease resistance and improves temperature tolerance. Grass blades are hardier, stiffer, and have better resilience under heavy traffic. The higher the numbers, the more fertilizer you get for the money. Never use more fertilizer than the recommendations on a bag - too much fertilizer will kill the lawn. Don't use too much Phosphorus. Brand names do not necessarily mean better fertilizer. Organic fertilizers are the best. If you don't mind shopping around, compare labels, they are there for your information and protection.